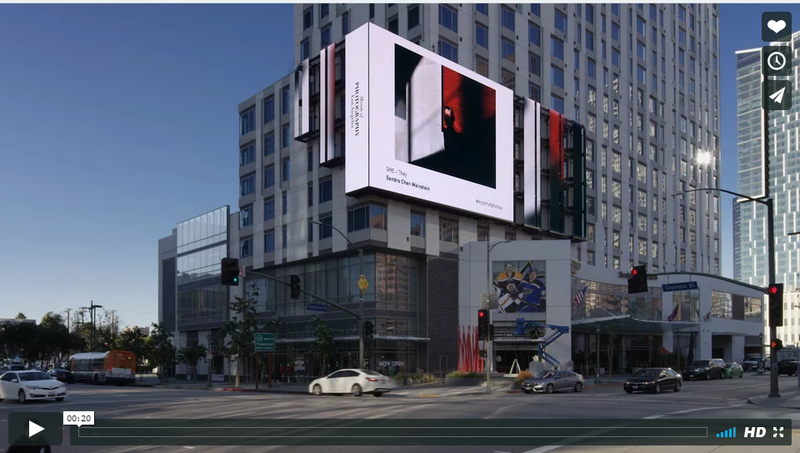 I am incredibly honored and thrilled to see my images from "SHE/They" selection series for SV Showcase billboard on Marriott Building in Los Angeles. Many thanks to the curator and staff of MOPLA included me for this wonderful opportunity for Month of Photography LA 2017. January 23 – 29: SV Showcase Review: Month of Photography LA, “People”. The Month of Photography Los Angeles SV Showcase runs through February 12 and presents the work of both local and global photographers. Featuring a collection of themed work each week, Month of Photography Los Angeles aims to expose the public to the diversity of contemporary photography.